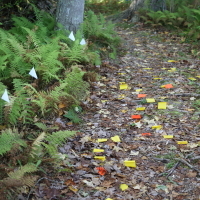 Based on my previous work of the same name, Tracks and Trails (2015) examined the meaning and implications of travel and transportation from the lens of a specific site. 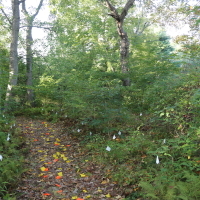 I again worked with a multimedia bullhorn, this one playing clips from interviews with East Haddam residents about their relationships with trails, their favorite plants, their local routes, their relationship to the site, and other subjects. 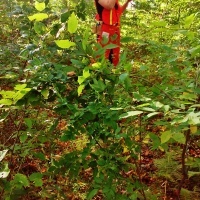 A performance directed to plants for human audience passers-by. 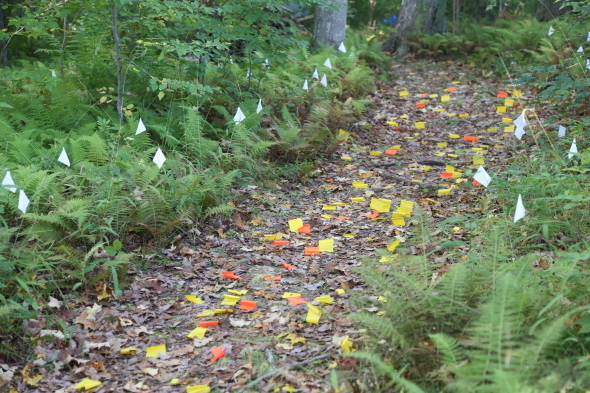 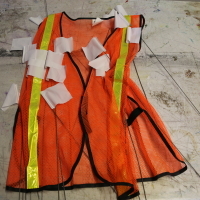 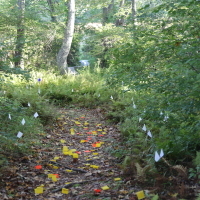 The performance was park of the I-Park Environmental Art Biennale — an installation with landscape flags remained up before and after the performance.